The City of Maple Ridge, in partnership with Wildsafe BC and Ridge Meadows Recycling, has offered education and advocacy work to “Keep wildlife wild and our communities safe” since 2012. 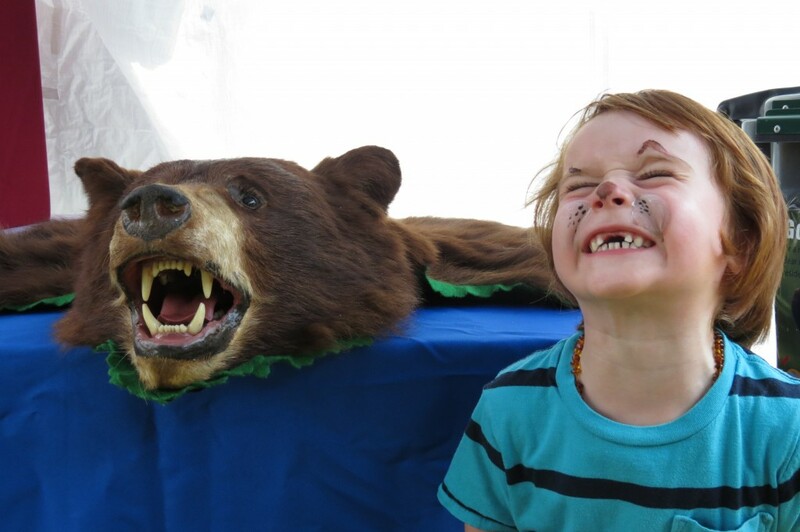 The goal is to teach people about how to avoid potential conflicts with wildlife such as bears and cougars, and how to manage attractants, which is the biggest problem our community faces when it comes to the presence of bears. Some bear attractants in our area include garbage, fruit, compost, birdseed, pet food, barbeques, garden produce, livestock and pets. Maple Ridge is lucky to have both a WildsafeBC Coordinator and Provincial Conservation Officers based in our community. The WildsafeBC Coordinator for Maple Ridge is Dan Mikolay, who is also Ridge Meadows Recycling’s Environmental Educator. Check out the WildSafeBC Annual Report Maple Ridge 2016. Some examples of managing attractants include putting garbage & recycling out for pickup in the morning rather than the night before, not putting birdfeeders out when they are not needed (spring, summer, and fall), securing bbqs and fridges and keeping them clean, and picking fallen fruit. Conflict prevention includes purchasing bear-resistant garbage cans, installing electric fencing, and proper care of compost. Bear-resistant containers help discourage bears from seeking food sources in residential areas. The City of Maple Ridge recently approved a $50 subsidy for Maple Ridge residents to purchase a bear-resistant organics bin. This means the first 400 Maple Ridge residents who order a bear-resistant organics bin from us can purchase it for only $100. NOTE: We have SOLD OUT of our stock of Bear Resistant Bins. Please report all bear sightings to BC Conservation by calling toll free 1-877-952-7277 or fill out a report online. By reporting bears at first sighting, conservation officers can get to work early to deter them away from humans, thereby having a good chance of saving the bear’s life. One of their tools is a map that pinpoints recent bear sightings. For more information, visit the WildsafeBC website.